Democratic rising star Stacey Abrams teased her political future during an appearance on "The View" Wednesday saying that "I think you don’t run for second place." Her comments and appearance on the show come just after her recent lunch with former Vice President Joe Biden and amid speculation of joining the 2020 fray as his running mate swirl. “If I’m going to enter a primary, I’m going to enter the primary," she said on The View during an appearance to promote her new book “Lead from the Outside.” "I do not know if I am running, I am thinking about everything." 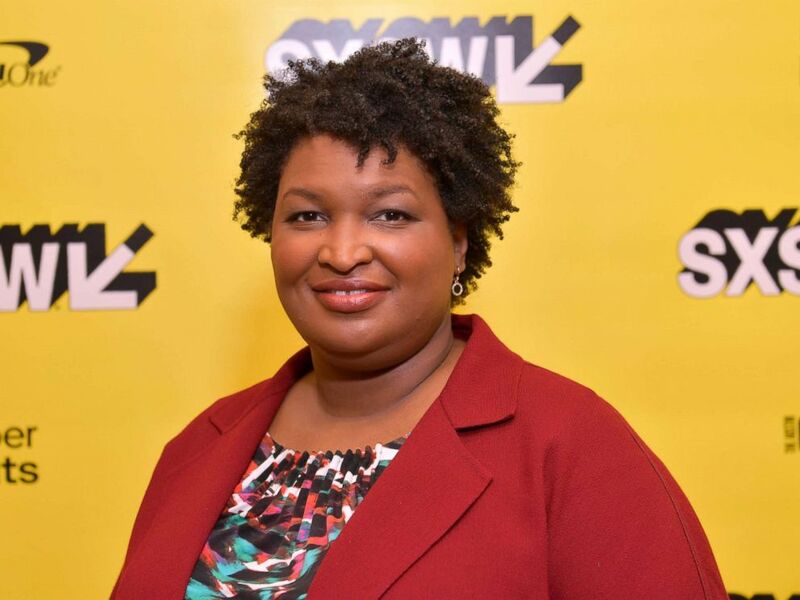 Abrams previously said during a recent speech at Vanderbilt University, she is willing to meet with any candidate running for president in 2020 under two conditions: "My two requirements. One, you have to tell me what you're going to do about voter suppression. And two, you have to believe Georgia is a swing state." Abrams is most known for the 2018 Georgia governor’s race during which was roiled by allegations of voter suppression. She initially refused to concede when Gov. Brian Kemp declared that he had won the election. "This is not a speech of concession. Because concession means to acknowledge an action is right, true or proper. As a woman of conscience and faith, I cannot concede that" she added. Stacey Abrams attends Featured Session: Lead from the Outside: How to Make Real Change during the 2019 SXSW Conference and Festivals at Hilton Austin, March 11, 2019, in Austin. Abrams ended her bid 10 days after the election, some 60,000 votes short of victory. Afterward, a political organization backed by Abrams filed a federal lawsuit challenging the way Georgia's elections are run, alleging state election officials "grossly mismanaged" the November election that deprived low-income people and people of color of their right to vote. She also launched two non-profits, ‘Fair Fight Action’, and ‘Fair Count’ to “see that every Georgia vote is counted.” All just before the 2020 Census that will provide redistricting data for everything from city planning to schools zoning, and most notably, political elections. “If you can’t even have your voice heard you’re not going to win an election. That’s why voter suppression is so important to me,” she said. Former President Barack Obama joined her campaign rally during the election and well-known celebrities like Oprah and Will Ferrell knocked on doors in Georgia for her. The former Democratic leader in the Georgia House of Representatives would have been the nation’s first African-American woman governor. She walks through her political missteps in her new book. “I wrote a book about how I messed stuff up a lot and I fixed it.” “This is a book that walks you through how to be successful. I have an obligation to think about what I can do better next time,” she said.